It is a crime in Canada to traffic in a drug prohibited by the (CDSA) . Illegal Drugs prohibited by the CDSA include cocaine, marijuana, ecstasy, heroin, ketamine, oxycodone, GHB and a slew of other narcotics. If you or someone you know if facing an allegation of drug trafficking, it is important to consult with a lawyer right away to discuss possible defences to the charge. For more information on drug trafficking, Daniel Brown can be contacted at (416) 297-7200. Otherwise, feel free to read the following frequently asked questions about drug trafficking charges in Canada. For information about other drug offences, read my articles on drug possession charges, drug importing or marijuana grow-operations. Can a person be convicted of trafficking drugs if all they do is offer to traffic drugs without actually completing the transaction? Can someone be found guilty of trafficking, if they sell an item disguised to look like drugs- but isn’t actually illegal? How does being charged with drug trafficking affect a person’s chances at obtaining bail? 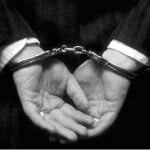 What types of penalties can someone face for trafficking drugs? Are there mandatory minimum sentences for trafficking a narcotic? A person is deemed to have trafficked a drug is they sell, administer, give, transfer, transport, send or deliver the substance to another. This means that even an act of passing a marijuana joint to another person or buying drugs for a friend and delivering it to them can both be considered trafficking under Canadian law. Offers to traffic drugs are considered the same as actually trafficking the drug. Even if the person making the offer had no realistic possibility to obtain the drugs at all he would still be guilty of drug trafficking. For example, a charge of trafficking is made out if the accused offers to sell drugs to an undercover officer, even though in fact the accused’s intention was not to sell, or deliver, drugs, but to cheat the buyer by ripping him off. Selling something like baby powder but calling it cocaine can meet the definition of trafficking by making an offer to traffic. The prosecutor need not prove that the substance was in fact a drug or a narcotic, as long as it is proven that the accused held out or represented the substance as a drug or a narcotic. Normally, the prosecutor has the burden of proving why a person accused of a criminal offence should be detained in custody pending their trial. This is not the case with drug trafficking charges. Serious drug offences such as trafficking shift the burden onto the accused to prove why he should be released. This “reverse onus” placed on an accused person at a bail hearing makes it more difficult for a person facing serious drug charges to obtain bail. For more on the bail process in general, read my articles on “obtaining bail” or “changing my bail conditions”. The punishments for drug trafficking can be severe Drug trafficking is one of the few criminal offenses that carry a maximum penalty of life in prison. In determining the type of sentence to be given, a judge will examine the number of times a person trafficked drugs, the type of drug sold, the quantity of drug sold and the person’s prior history with the police among other factors. Follow this link for a more detailed review of the mandatory minimum sentencing regime for drug offences. Besides a criminal conviction and jail sanctions, there are other potential consequences of a conviction for trafficking narcotics. A person convicted will have a criminal record, which can make getting a job or professional license more difficult. There may also be restrictions on a person’s ability to travel in and out of the country or prohibitions on relocating to other countries such as the United States. For non-residents, there are also potential immigration consequences including the possibility of deportation for a serious drug conviction. Every case of drug trafficking is different. It is important to speak to an experienced drug lawyer as soon as possible. Daniel Brown can be reached for a consultation at (416) 297-7200.